The IESO posted a lot of material this week: on feed-in-tariffs, 18-month outlooks, the status of procurement. stakeholder engagement agendas, etc. It’s worth a quick post on some things I noted. On a negative note, I noticed on Wednesday a tweet noting the Ontario Energy Report had been updated on Monday. 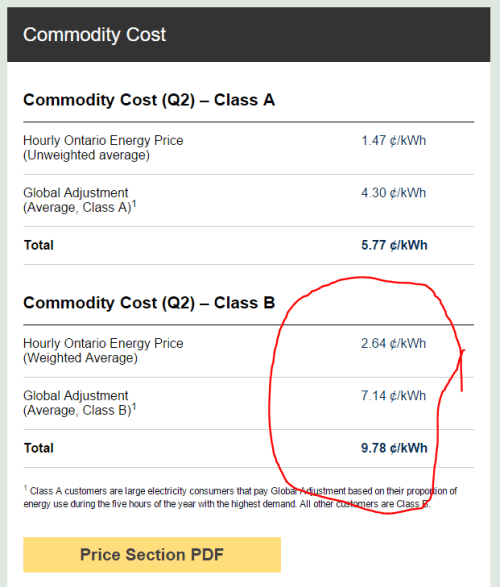 Upon looking I immediately noticed it had a significant error on page one, and posted IESO Conveniently Bungles Ontario Energy Report. It remains wrong as I write this, and I think that’s a statement about the IESO. The average Class B commodity rate in the second quarter of 2015 was 26% higher than 2014’s, and that was consistent across the 3 months each of which had a Class B consumer commodity rate of around 11 cents/kWh; if the IESO management was interested in the end consumer they’d have know that, and the rate, and would have been as capable as I at noting their error. Bill Gate’s long and tireless efforts to close a deal with China National Nuclear Corp. have finally paid off. The company has inked a deal to build a first-of-a-kind unit of their sodium cooled fast reactor in China and then manufacture a commercial version of it.Zhimin Qian, President of China National Nuclear Corp. signed the deal with Lee McIntire, CEO of TerraPower at a U.S. Trade and Investment Cooperation Conference held in Seattle on September 22. Consumers, craft brewers, grocers and owners of small bars and restaurants will finally quench their thirst for change under a new deal between Queen’s Park and the Beer Store, the Star has learned. Squirrel. image from the Telegraph’s ‘Like rabbit, but sweeter’…. 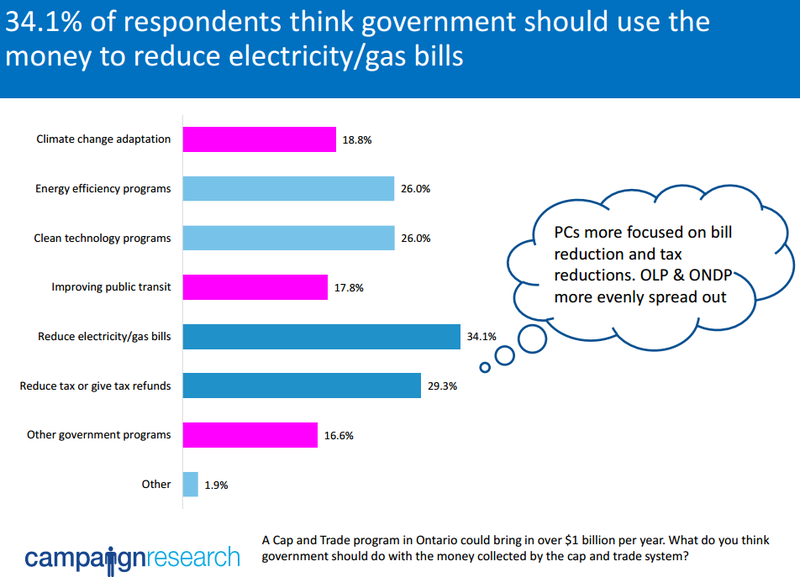 Not to focus on the negative, but I was surprised people would be asked if revenues from pricing carbon should be used to subsidize consumption of carbon. Not sure how anybody reads something like one J.C.’s latest and doesn’t welcome a “skeptic” label. An article from Vermont questioning the unexamined growth of industrial wind comes as nature lovers organize for a rally in Prince Edward County. I ask our legislators to support a moratorium on new wind projects until they can answer how well our existing projects have lived up to their developers’ promises, how have they impacted the environment, and how they have affected their neighbors and communities. Ontario’s legislature is likely immune to intelligent exchanges. The majority Liberal government responded to courts supporting defence of the environment at Ostrander Point by pushing through approvals for massive industrial wind turbines at two other environmentally sensitive locations. [union leader] Cataford says the Ministry of Labour should stay at the Oil Springs Line site to make sure everything runs smoothly. Pohdiskeluja sekalaisista asioista. Painopiste kuitenkin energia-, ilmastonmuutos- ja ympäristökysymyksissä.